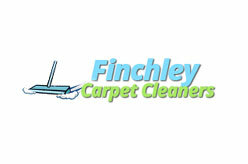 One of the leading professional budget-friendly carpet cleaning services in London area. East Finchley, Fortis Green, Hampstead Garden Suburb, Finchley, Church End, Finchley Central, North Finchley, Woodside Park, Muswell Hill, Highgate, Hampstead Heath, Woodside Park, Hampstead, Belsize Park, Frognal, Childs Hill, South Hampstead, Swiss Cottage, Primrose Hill, Chalk Farm, Gospel Oak, Golders Green, Temple Fortune, Hampstead Garden Suburb, Hendon, Brent Cross, New Southgate, Friern Barnet, Bounds Green, Arnos Grove, Wood Green, Bounds Green, Bowes Park, Hornsey, Crouch End, Harringay, Upper Holloway, Archway, Tufnell Park, Mill Hill, Arkley, Kentish Town, Camden Town, Dartmouth Park, Chalk Farm. 1183A Finchley Rd, London NW11 0AA, England.